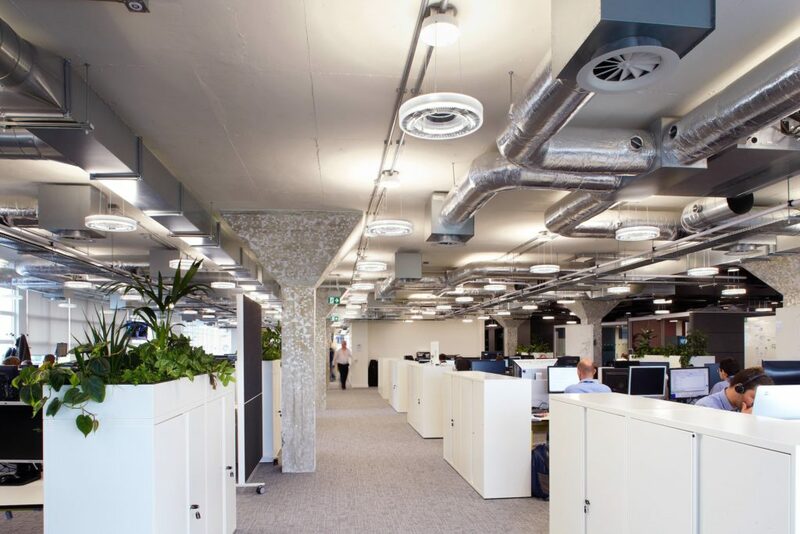 Spectral Lighting has provided an entire office fit-out using IRIS LED pendant luminaires to the Sky UK office located on London’s fashionable Brick Lane. 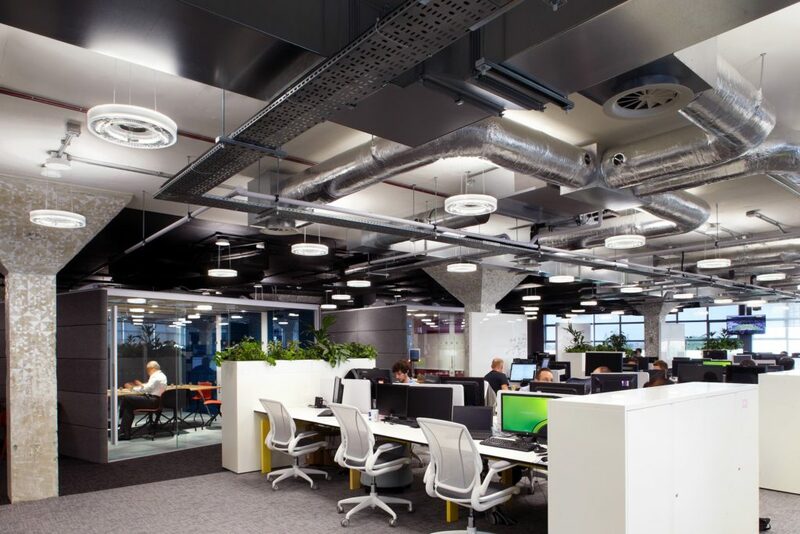 Working with Cranleigh-based M&E Consultants Jonathan Hart Associates, Spectral’s IRIS LED luminaires provided a high quality and energy efficient solution, creating a lit environment that staff found comfortable to work in. 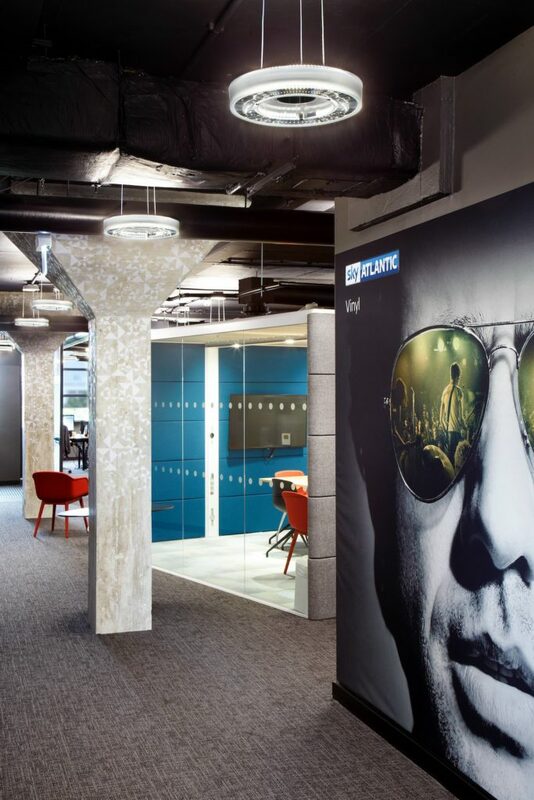 The Sky UK office on Brick Lane was formerly a textile workshop and had been stripped back to concrete shell, with office space created on the fourth and fifth floors. To retain the industrial aesthetic and character, the architect opted to have the services on show, including the lighting. This meant that the aesthetics of the light fitting were very important, as it would be in full view. 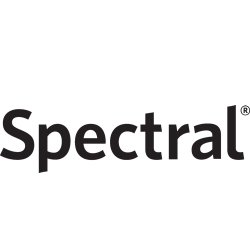 Spectral’s IRIS LED luminaire has a visually stunning design, with an ultra-transparent diffuser and suspended on near-invisible three-way split power cables. 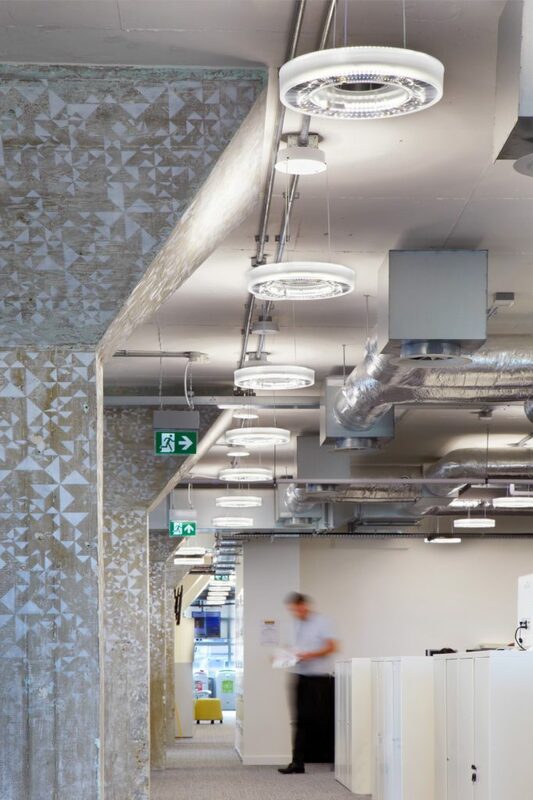 The unobtrusive circular construction draws the eye through the space, enhancing exposed ceilings and the geometry of any backdrop, without taking centre stage. Quality of light was a key requirement for the project. 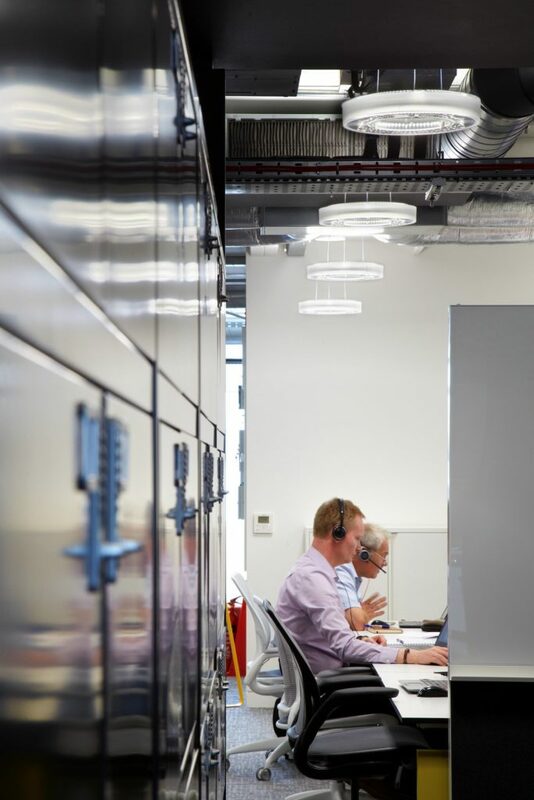 Light plays a significant role in human wellbeing, so it was essential that the new lighting system offered a superior quality of light and ensured that staff felt comfortable in their workspace. 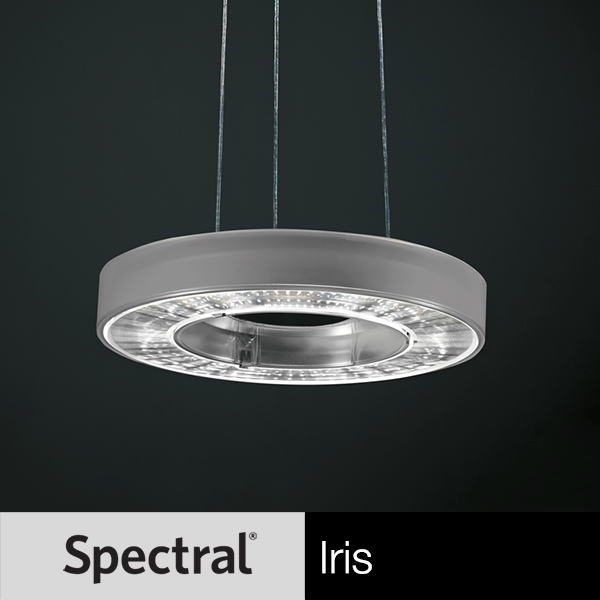 The IRIS LED has been specifically designed for high quality light output, with radial prisms that control and reduce glare to offer increased comfort, and RIDI’s own German-engineered LED modules. 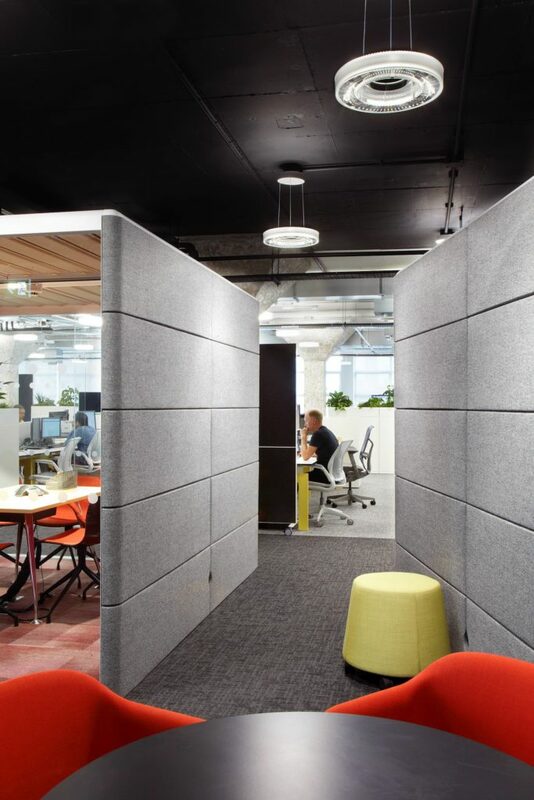 The Sky has a number of pods that can be used as breakout spaces and meeting places, but these high walled pods can create dark spots around the office. 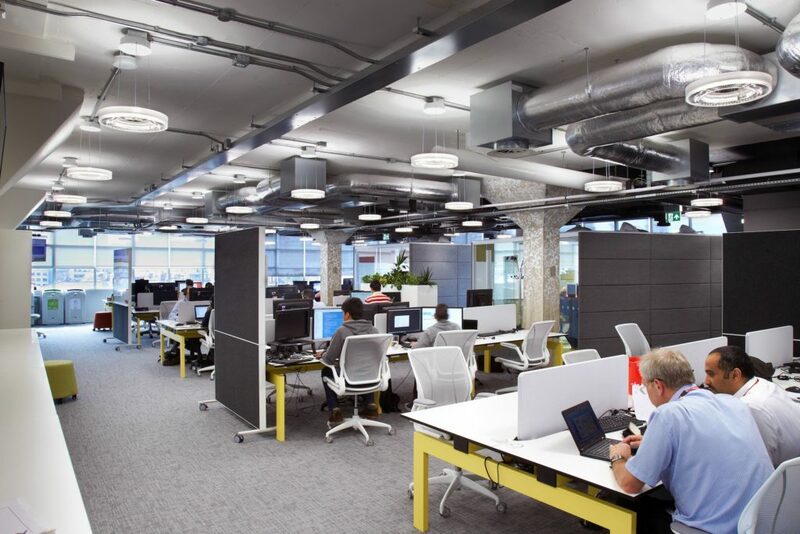 The lighting solution needed to scatter light effectively across the working area, to reduce these dark spots and provide a bright and fresh environment throughout the office. Half of the office was painted black, creating a darker atmosphere than other areas of the office which were painted in lighter colours. 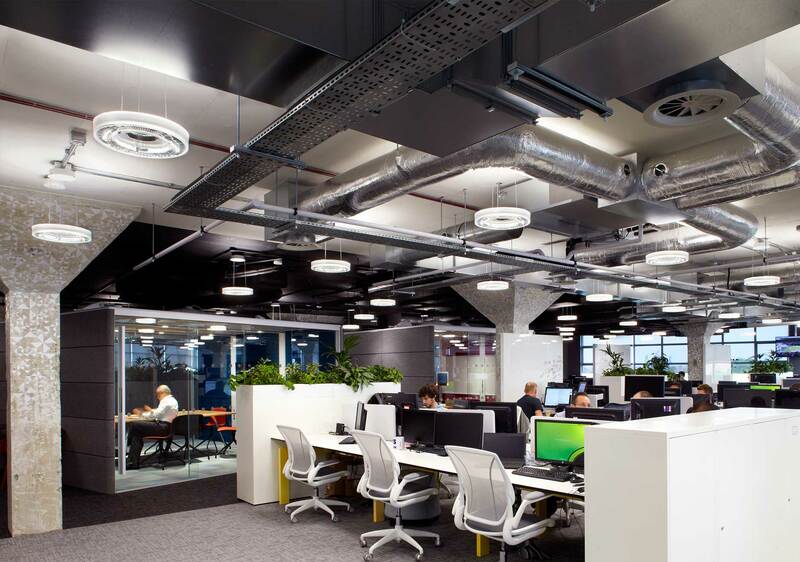 This also necessitated a carefully considered and high quality lighting scheme, so that staff did not suffer negative effects from being in darker areas of the office.